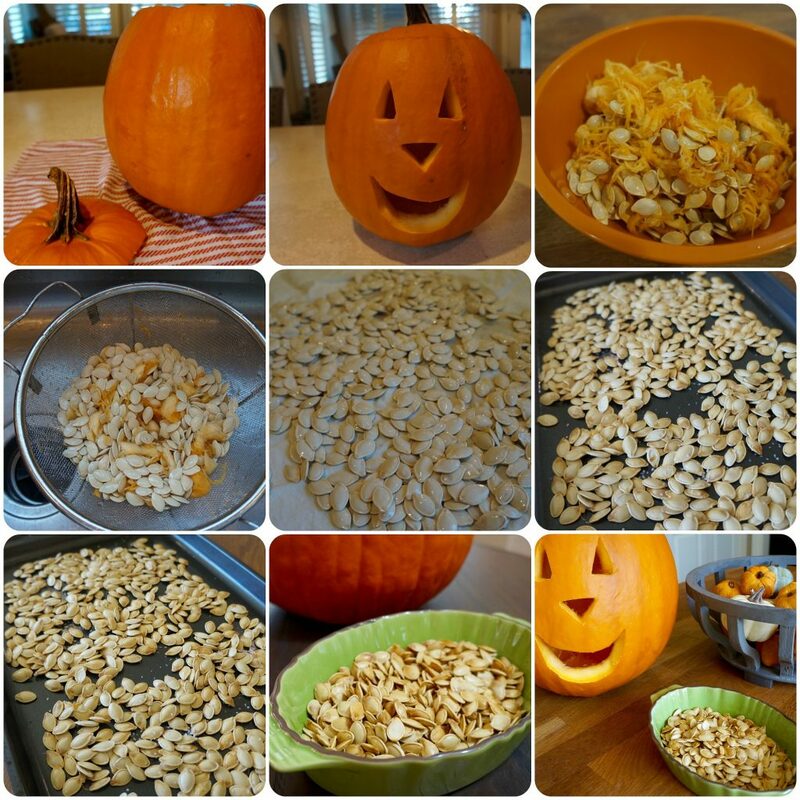 Here is what you do: First take out all the seeds and inside of the pumpkin and transfer to a bowl. Then fill the bowl with water to help loosen everything up and then transfer the seeds to a colander and start to separate and pull out all the seeds. Once that is done rinse your seeds well and transfer them to a kitchen towel and top with some paper towels pressing down to get all the all the water out. I leave them on the towel for about 20 minutes to make sure they are dry. Next, transfer the seeds to a baking dish and coat them with extra virgin olive oil and kosher salt and toss to combine. Bake them at 350 degrees for 15 -17 minutes and check on them from time to time and with a spoon toss them all around to make sure each seed is getting golden.